Over several years of writing this column, I have become aware of various universal themes that are often a major part of a given design problem, but not included in my written response for reasons of space and practicality. Lessons Learned, a new feature of the column, will help address this issue. The universal theme we want to keep in mind is that any home, no matter how humble, can be made remarkable if you just give it a chance. So let’s look at this early 1960s ranch house from a ‘lessons learned’ point of view. 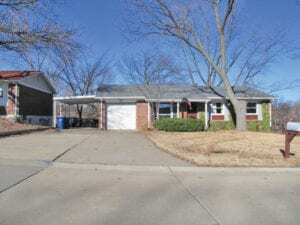 As you can see from the ‘before’ photo, our house doesn’t look much different from thousands of 1960s entry-level homes seen in the suburbs of U.S. cities. Many people wouldn’t give this house a second glance, but they should, because it is brimming with possibilities for substantial improvement … even transformation. Often, 50-year-old homes like this occupy more generous lots that are closer to the action than new starter homes built farther from urban areas. That can make these older houses logical candidates for substantial remodeling. Additionally, their aging roofs, windows and siding may lower their price tags and open up avenues for real aesthetic improvement. In this case, I have changed just about everything down to lighting, accessories and even the mailbox. The landscaping gets a complete refresh as well. Picture a young homeowner who could, with a step-by-step plan over time, turn something that is livable but not lovable into a home that is modestly magnificent. By thinking of the original house as a blank canvas, you even can reimagine the roofline as you replace shingles and windows. 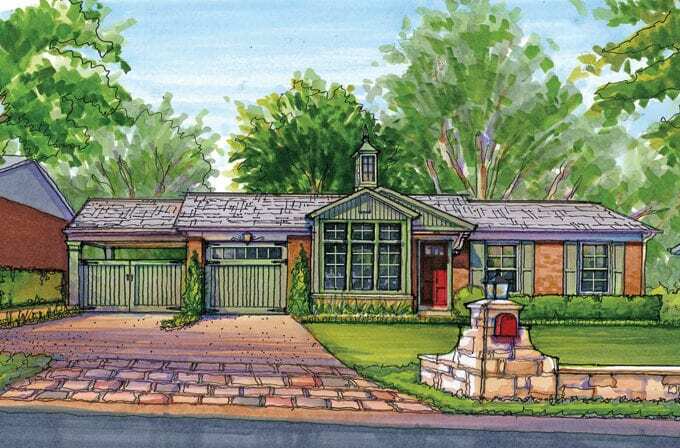 In the 1920s and ‘30s, architects and builders gave considerable attention to designing more modest homes; after World War II, however, that mindset somehow was lost. This design response shows what can happen if we reapply that prewar thinking and learn to appreciate the substantial potential of a smaller home.